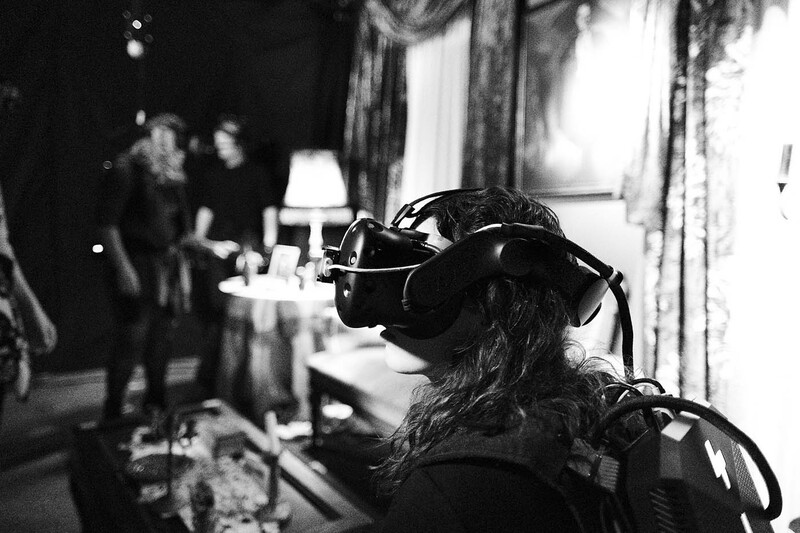 In The Horrifically Real Virtuality experience, presented at the Phi Centre until April 28, Marie Jourdren, chief creative officer for DVgroup, draws a parallel between the early beginnings of the film industry and today's widespread experimentation with immersive technology. Listen to the whole interview in French, below. Long scorned as an incredibly bad Z movie producer, Ed Wood is now a Hollywood legend. So can we admire the artistic journey of a man dubbed the "worst filmmaker of all time"? Director Marie Jourdren thinks so: "He was one of those people determined to make their own way against all odds. He carried out his projects with very little financing or assistance. From that perspective, I'd say he symbolizes success." Deliberately shattering all the codes of the genre, Wood threw himself into his artistic productions with all the verve and passion of contrarian dreamers of naïve art such as the Postman Cheval and Le Douanier Rousseau. "His way of working and the subjects he tackled were a bit provocative," notes Jourdren. "He introduced the concept of androgyny, for example. Those themes made him something of an icon." He carried out his projects with very little financing or assistance. In our modern era, when art can no longer be separated from marketing, Jourdren believes that "bad buzz" helped turn Wood into a cult icon. "There's something almost obscene about Wood. Not in the moral sense of the word, but in its almost etymological definition: something that should be 'behind the scenes,' not observed by the public. In his films, spectators have a thrilling perspective: they're the director's accomplices. They watch the silhouette of a stagehand moving behind the scenery and the strings dangling flying saucers." Spectators of The Horrifically Real Virtuality are able to change the storyline – move the props, interact with the characters, manipulate cameras. Contrary to their traditional passive, wait-and-see, role, audience members become thinking, acting protagonists: "Immersion and interactivity are revolutionizing the way we tell stories," explains Jourdren. "We're creating whole worlds, spaces, characters… Spectators enjoy enormous freedom of action. It's up to them to decide whether or not to experience the endless possibilities." As with immersive technology, the narrator is at the service of the storyline. More than ever, constraints are a source of creativity: "Virtual reality is extremely powerful since its purpose is to create illusions capable of plunging us into plausible worlds, of tricking our senses," she adds. 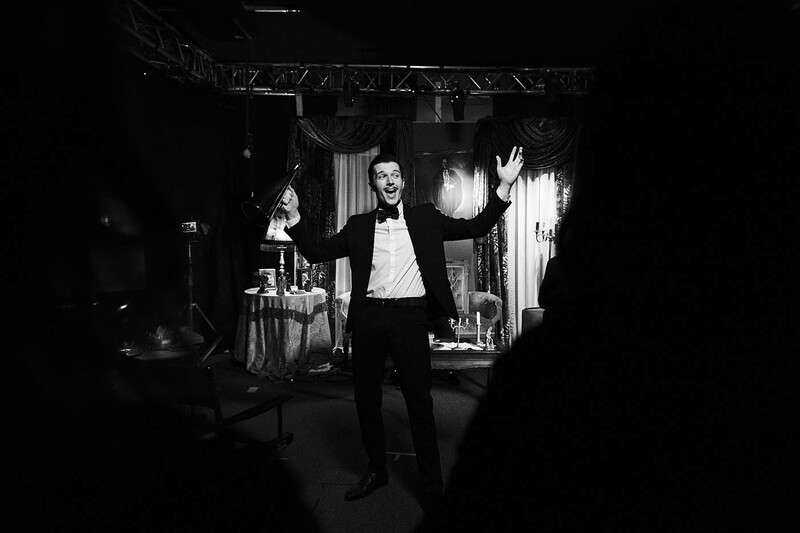 A veritable mise en abyme of the limits and possibilities of a medium whose potential is just starting to be explored, The Horrifically Real Virtuality thumbs its nose at the film industry, which has too often looked down its own at VR: "Ed Wood struggled, but he was extremely inventive. With virtual reality, we're also experimenting, just as cinema experimented before growing into a powerful industry," notes Jourdren. How does this trial and error learning process co-exist with commercial pressures? "We're in the process of creating a new format: its grammar, its codes, its subjects," explains Jourdren. "But, above all, we've got to find our audience, without which virtual reality won't survive. We've got to think about the content as much as about the industry. It's an exhilarating experimental phase. We feel like we're pioneers, like we're inventing something. I imagine it's a bit like in the early days, when people were just starting to invent cinema codes."